THE SATLAB GEOSOLUTIONS Satlab Geosolutions is a Swedish based satellite positioning Solutions Company. This company was founded by a group of passionate and pioneering engineers, with a total of more than 40 years of experience in the GNSS industry. Our development team has been considerably aware of the missing technical and administrative features of currently available products on the market. 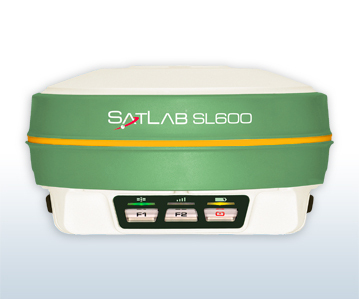 This valuable knowledge has been fully incorporated into the Satlab range of GNSS equipment Satlab Geosolutions AB produces state of the art GNSS surveying equipment and will supply high productivity and cost effective hardware/software solutions to meet the high standard requirements of the Global surveying community. Satlab Headquarters: ASKIM – SWEDEN Regional Offices: Scottsdale, AZ, USA Jicin, Czech Republic Ankara, Turkey Singapore, Singapore Distribution Network: Existence in Europe, America, Asia, Africa, Oceania, and More than 20 countries of Active Distribution. Spare Parts Satlab ensures spare parts are available to our Technical Service/Support partners. This enables prompt repair turnaround thus eliminating any extended down time. Experience Knowledge and experience are necessary to provide the correct prescription to reach the target quality in the fastest way. We are sharing our experiences with dealers to let them share with others. Cost We do our best to keep cost in money and time as low as possible since we know that every single second to our end users is very valuable. Satisfaction Our main target is to keep 100% satisfied customers. That’s why we do not stop but continue improving our services day by day. Now it is time for change to SATLAB GEOSOLUTIONS!